Gold fish: gold fish are nice and not very expensive when small but large gold fish can reach high price and it is not very difficult to find buyers as they are the most popular pet fish in the world. Koi carp: Similar to the gold fish, the koi can actually reach huge sizes and develop very nice and looked after patterns. This is also a very famous fish to be kept in pond and the value of the best patterns can reach hundreds of thousands of dollars. Those kind of prices are very exceptional. 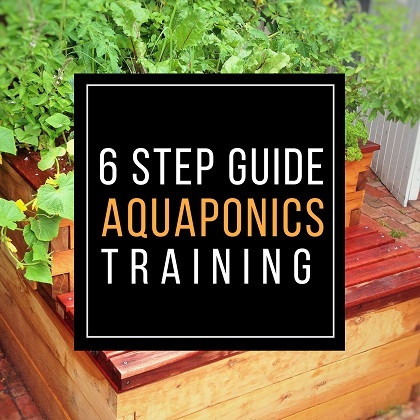 Don’t expect to develop such subject by chance in your setup but growing carps of a value of hundreds of dollars is very much achievable in small scale aquaponics. African cichlids: those fish are a bit more “advanced” or “connoisseur” fish and you will only be able to sale them if you live in the city as the chances that buyers live around if you are in the country side are very limited. Many species of African cichlids can be breeded and grown in Aquaponics, I am thinking of the genders Cyphotilapia, haplochromis, melanochromis… Here are just a few African cichlids that could be grown and generate a very interesting profit margin. Now if you follow this business model don’t get too excited and don’t plan the same return on investment on a larger scale setup. It is often very easy to sale a few ornamental fish online to some local passionate fish keepers but it becomes way more challenging to find a market when you increase the production by 100 or 1000. This is the reason why most “large scale” / commercial aquaponics farms are producing edible fish and generate most of their income from the vegetables produced. Keep in mind that an aquaponics system generally produce 10 times more vegetables than fish crop. The vegetables can generally be sold at significant price thanks to the sustainability of the process that is more than organic. Consumers are very often to pay more for a sustainable, local, tasty and healthy product but this need to be emphasized in the marketing strategy. Can we breed fish in aquaponics? Should we use plastic in aquaponics? Copyright © 2018 Melbourne Aquaponics.